Ibrahim Essa is the author of the bestselling thriller The Televangelist. The novel’s main character, Hatem el-Shenawi, a national celebrity revered by housewives and politicians alike, is charismatic, quick-witted, and has friends in high places. But when he is entrusted with a secret that threatens to wreak havoc across the country, Hatem is drawn into a web of political intrigue at the very heart of the government. 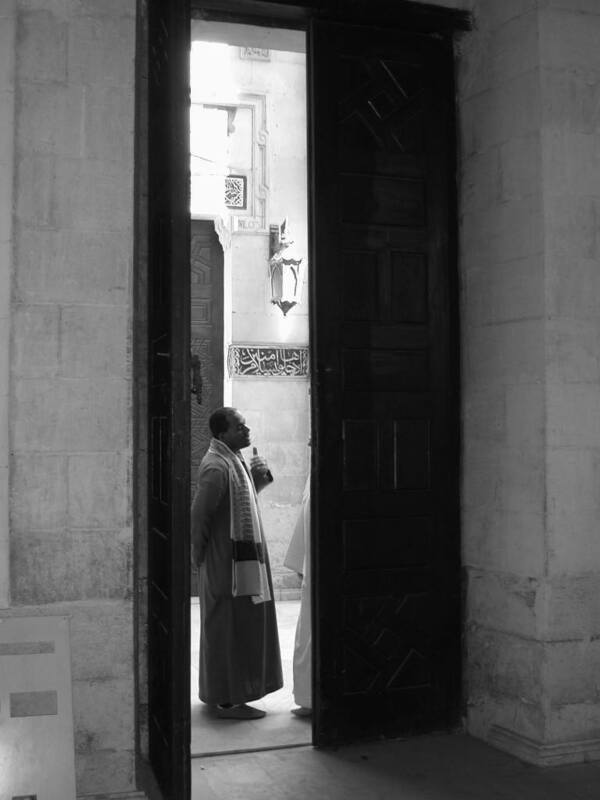 In this interview, Ibrahim Essa leads us into the world of his main character, deciphers the role that religion plays in today’s society, and warns of the mixed effects of televangelist preaching on audiences. -What are the central themes of the book? The novel is about religion and media, about a phenomenon that has spread throughout Egypt, and the Arab World in general, with the expansion of the media. We are faced with something incredible, as the force of religion has taken on another powerful weapon called the media and been placed in the hands of the televangelist, the sheikh. We are talking about the appearance of the TV sheikh. Unlike in the past, when sheikhs would hold lectures on their own or in mosques, the televangelist is watched by millions. It is this phenomenon that, in my opinion, has produced radical religious discourse and terrorism, and we should be very clear about that. The main character, Hatem el-Shenawi, is a televangelist, with a complex and contradictory personality. What or who does he represent? I built Hatem el-Shenawi’s personality on more than one real-life figure. However, Hatem el-Shenawi, in the novel, is an expression of the sheikh and scholar who is conflicted between what he wants to say and what the political, cultural, religious, and media environment in which he operates allows him to say. Some sheikhs, or those who really are scholars, keep their scholarship hidden, and become hypocrites instead, saying what the audience wants to hear and what the backer wants to pay for. Hatem el-Shenawi believed his role was not to be a populist, but he also was not the scholar he wanted to be, either. That’s why in a key passage of the novel, he says to himself that when a sheikh becomes a televangelist, the first thing he has to do is to please the audience, the financial backer, the producer, and the director, and if he can please God, too, then even better. Did you base the character of Hatem on any of televangelists that preach on TV nowadays? Yes, I based him on three specific real-life televangelists, taking a mix of their mannerisms, ways of speaking, and TV presence. However, in terms of his way of thinking and life story, there are bits taken from many of the most famous sheikhs in Egypt and the Arab world. 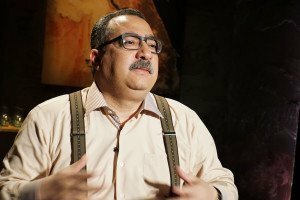 The Egyptian author, also a renowned journalist, on the set of his famous TV show ‘Maa Ibrahim Essa’. In your opinion, what is the reason for the appearance of televangelists? To put it simply, the televangelist fulfills a need in the market: to present this product [religion] to the audience. When you watch an entire religious program, or the religious sections of a talk show, you will find that they are all filled with advertisements, because this is what pays peoples’ salaries. This is the perfect example of the commodification of religion and it is the televangelists that have taken religion and turned it from the realm of knowledge into a market. Across the world, religion has been a capitalist product. Religion is no longer a service, it has become a commodity. And it is this transformation of religion that that underpins The Televangelist. Would you say the use of religion in politics is a key theme in the book? In the novel, we are talking about an authoritarian country, whose prime motive is to control its populace through the tools of the media and religion. Religion greatly influences people, and this is often exploited for political ends—not just in terms of religious ideas but rather by those who practice religion: the sheikhs. That’s why the [state] authorities have their own official religious institutions, their own sheikhs, their own audiences, and their own evangelical tools for preaching. And then there is the opposition to the authorities: political Islamist groups who also use religion in politics and so create a conflict, where each side uses religion in its own way. There are the traditional televangelists, there are the televangelists who work for the interests of the rulers, and there are the televangelists who work for the interests of terrorist groups and extremism. In the two latter cases, they fuse media with religion, without doubt, to further their own personal and political goals. Do you think televangelists help in promoting or combating sectarianism and extremism? There is no question that TV religion promotes violence and extremism, whether directly or not, through radical preachers who first appeared on YouTube and then on the Salafist channels. However, even televangelists who are seen as official, who are within the regime’s sphere, still preach ignorant and backward ideas, promoting terrorism and Wahhabism. Perhaps they are not the ones perpetrating it themselves, but they promote it and provide a legal [in terms of Islamic sharia], religious, intellectual, and historical base for extremism and terrorism. Without room for argument, the religious media serves extremist ideas. It all started when I worked on a religious program hosted by a well-known, late colleague of mine that invited sheikhs onto the show as guests. I would meet them to prepare for the show, going through what we would be discussing on the program. I did this for a year, and then began hosting my own religious program, where we also brought many sheikhs on as guests. The contradictions of this world had become part of my everyday life. It was clear that the person who wrote about this needed to be someone who knew it well, which I was. I was familiar with it in detail, I was an insider. The idea for The Televangelist came to you before 2011. Do you still believe that it reflects Egypt’s situation today? The fact is that the revolution didn’t change anything but rather reinforced all the ideas in the book, such as the use of religion in politics and the spread of Wahhabism and Salafism through the media and through televangelists. It also underlined the importance of freeing one’s mind. For me, this was the great lesson of January 25: that freeing one’s mind is more important than freeing one’s country, than from freeing oneself from dictatorship. First the mind must be free, and herein lies the problem: that we could be a democratic country without free minds. The true aim of The Televangelist is to free people’s minds. 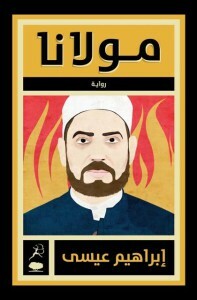 Hatem el-Shenawi, the main protagonist in The Televangelist, is a sheikh who investigates and thinks freely. Maybe he doesn’t speak freely, but he thinks freely. How do you think Western readers will react to your novel?
. . . I think that The Televangelist will answers Western readers’ question: Why do terrorists do this? They will understand the insane and delusional justifications, and they will know who, in the Middle East, is responsible for forming these minds that kill in the name of religion.